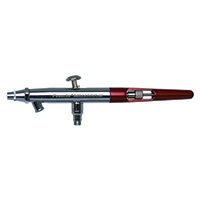 Millennium airbrush features a thin barrel grip and a cut-away red anodized handle that allows quick pullback of needle mechanism to blow out clogs. 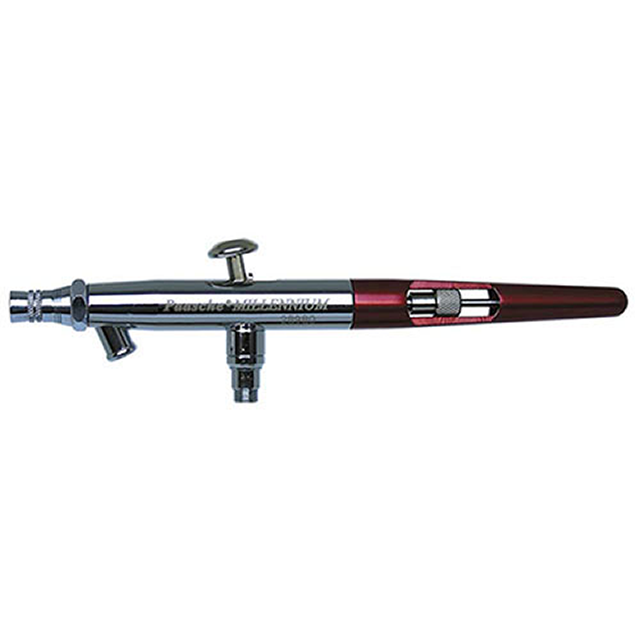 Round trigger button rolls under your finger for greater comfort and better control. 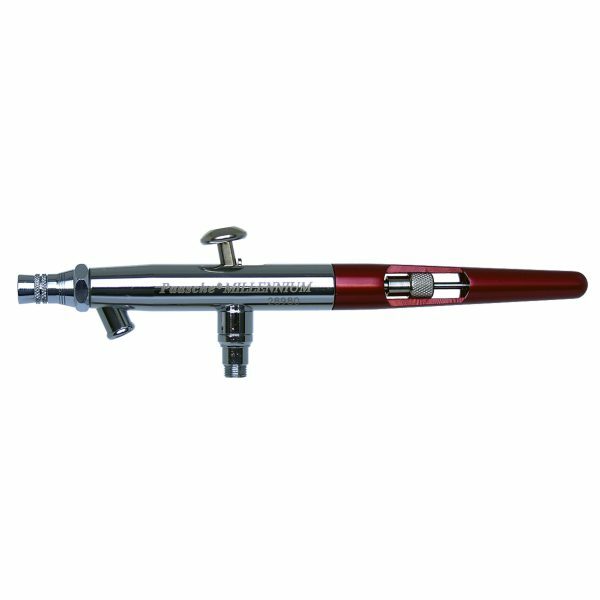 Airbrush has the same pressure and volume air requirements as the VL airbrush.